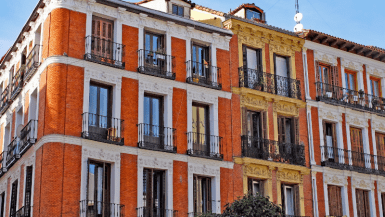 For the past year and a half I’ve lived right on the cusp of Madrid’s Malasaña neighborhood. And, well, let’s just say I’ve become pretty obsessed with it. When I studied abroad 3 years ago, my host family lived pretty far outside of Madrid’s center, but I made frequent visits to this area of the city. Malasaña was close enough to the center to be accessible, yet far enough away to have a real local feel. I used to wander its colorful narrow streets stumbling upon intriguing art, inviting cafés and mysterious bookstores. I couldn’t get enough. I’d found my happy place. I knew this would be where I would live if when I returned to Madrid. Malasaña is known as Madrid’s alternative, hipster neighborhood. It’s full of life, culture, art, and music. This trendy artistic center boasts a ton of international restaurants and terrace cafés, where you’re sure find groups of young madrileños gathering at any given moment. Malasaña is casual yet stylish, exclusive yet inviting, unrefined yet sophisticated. 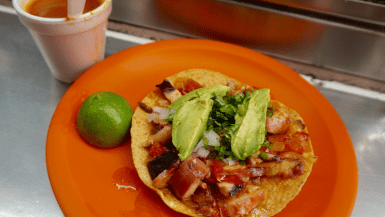 If I haven’t caught your attention yet (you may be in the wrong place), I would like to continue my ode to Malasaña with a series of posts highlighting my “Malasaña favorites.” I like to think I’ve become somewhat of an expert on my beloved barrio and it’s only right to share the wealth! 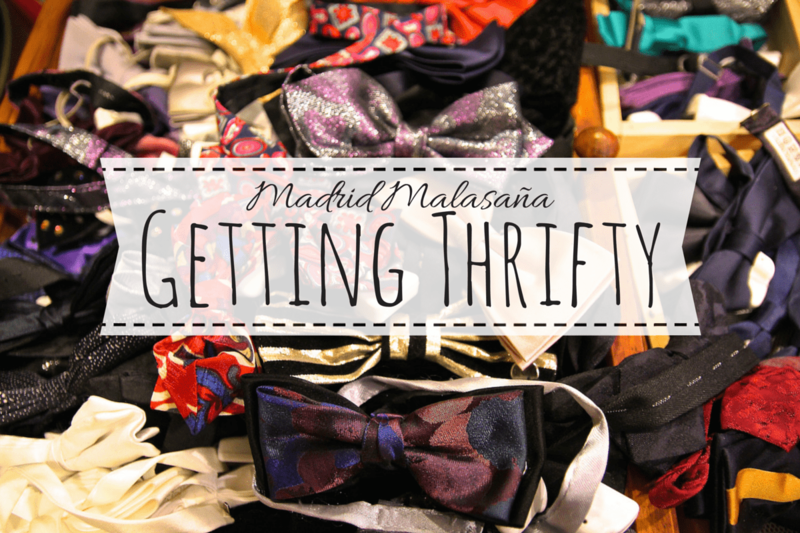 My first post to kick off the Malasaña series: thrift shopping. I’ve already boasted about Malasaña’s trendy, stylish and alternative nature, but I haven’t yet delved into its contributions to the Madrid fashion scene. You may have to venture outside of her borders to find your typical Zara and H&M, but for me, that’s the beauty of this neighborhood! If you’re the type of person that dares to venture away from the mainstream, there are plenty of treasures to be found! You could spend all day exploring and rummaging through Malasaña’s abundance of secondhand shops (don’t get me wrong that’s half the fun), but if you’re looking for a little structure, I’ve done some of the work for you! 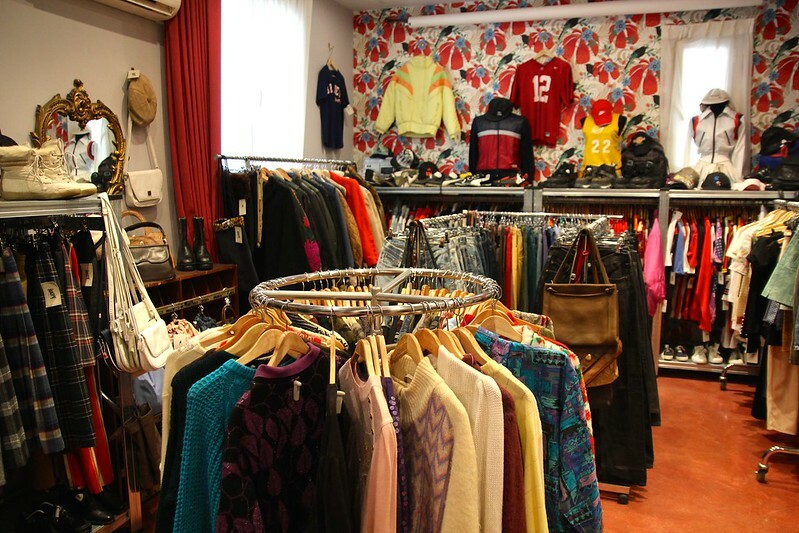 You’ll find everything from thrift-like secondhand markets to selective vintage boutiques. My favorite street for a one-stop thrift shop is Calle Velarde! This tiny little side street may not seem like much, but it is home to a considerable amount of Malasaña’s vintage stores. La Mona Checa is one of the smaller secondhand shops on Velarde, but that doesn’t take away from their extensive selection! If anything, due to their smaller floor space, they are forced to be a little more choosey with their stock, making each and every piece selectively unique. 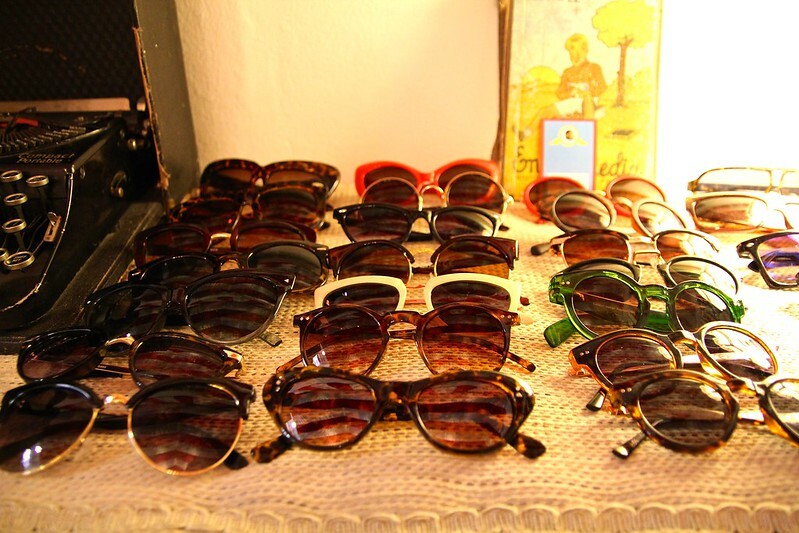 My Picks: Last time I visited this shop I fell in love with their collection of vintage sunglasses! (I’m a sucker for eyewear, so obviously, I bought a pair.) At only 10 Euro apiece, they’re a real steal! I also browsed through their oversized denim shirts and cozy fleece flannels, which I would’ve loved to purchase, but hey I’m broke. The The Storage is my go-to place for vintage denim. 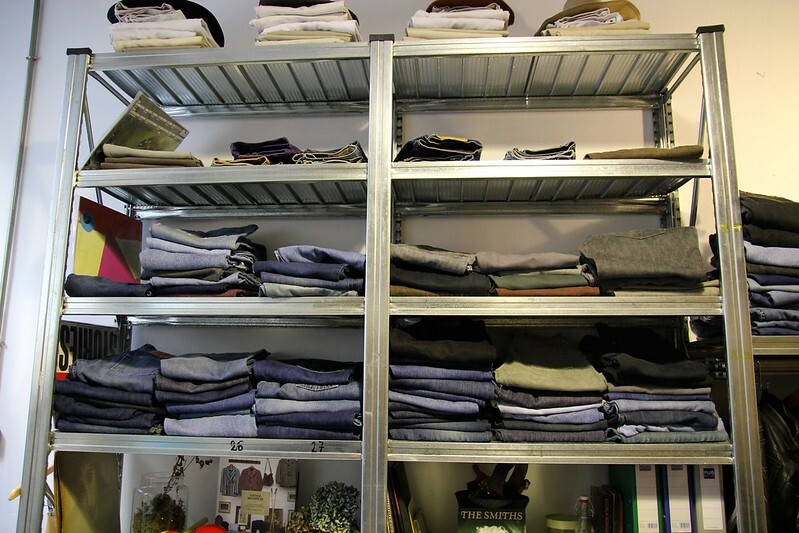 They carry the classic brands, such as Levi and Wrangler, in all different fits and washes. All shorts are cut and designed right in store. Personally, I find it really difficult to find vintage denim shorts that fit just right, so The The Storage is a breath of fresh air. 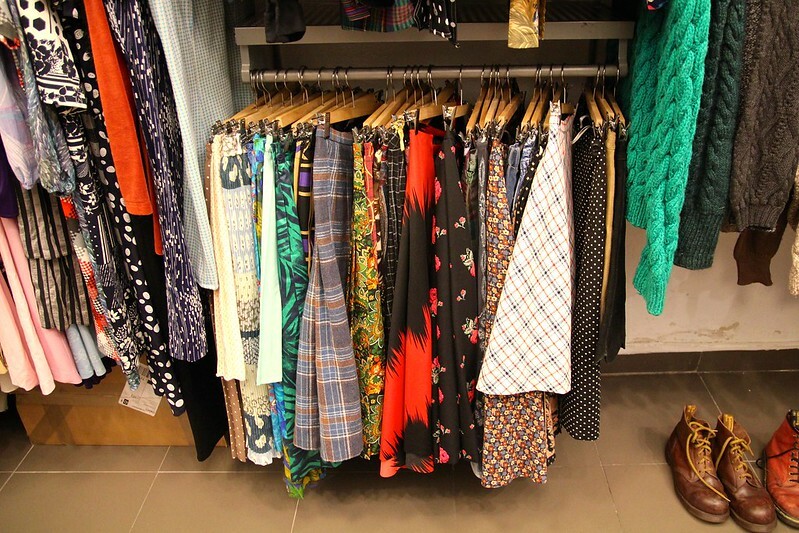 Tell them your specific size, and they’ll hand you a stack of options to try on! My Picks: Everything and anything denim. Well, being that I’m a New Yorker, I obviously love seeing a little Williamsburg right in my corner of Madrid. This narrow little shop embodies the hipster-chic inspired style of Brooklyn with lively prints and laid back designs. 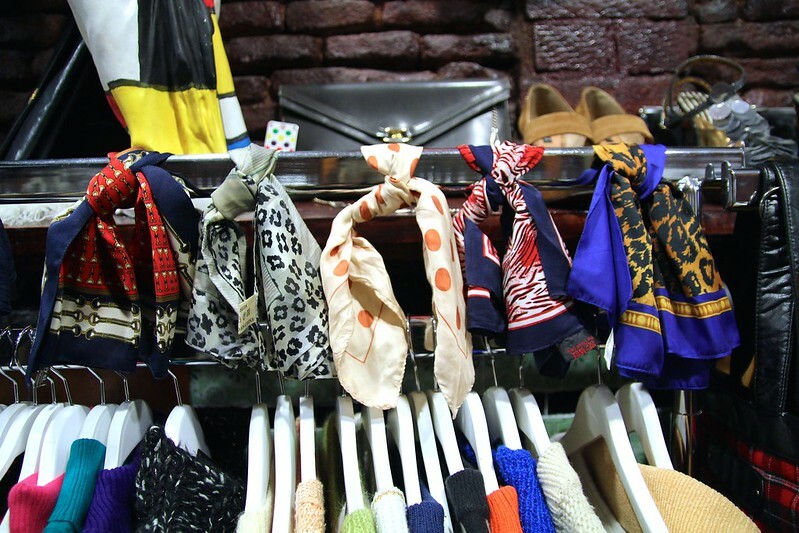 My Picks: Their selection of scarves is to die for! They reminded me of some of the vintage pieces that my mom still has in her closet at home! Out of all the shops on Velarde I have to say I’m partial to Magpie. I found this shop back when I was a study abroad student, with my friend Veronica, and it’s been my favorite ever since. It’s ENORMOUS and has such a wide selection for both men and women. They carry everything from formal wear such as suits, bowties, gowns and even wedding dresses to informal wear such as sweatshirts and sportswear. Everything in the store is organized by style which makes scouring for treasures, well less of a scour. 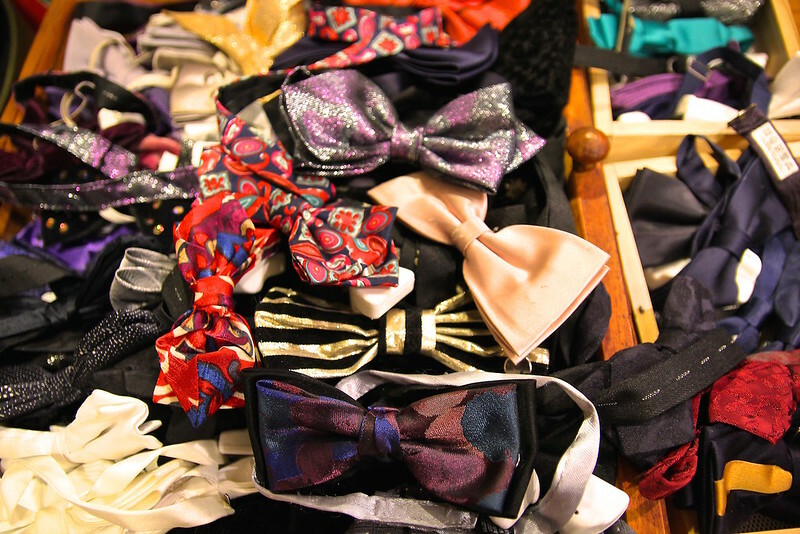 My Picks: I’m not really sure why, but I always enjoy looking through their boxes of bowties. I actually brought one home to the States for one of my fratty friends back in the day. They also have a pretty great selection of men’s shoes. (Too bad my feet aren’t big enough.) 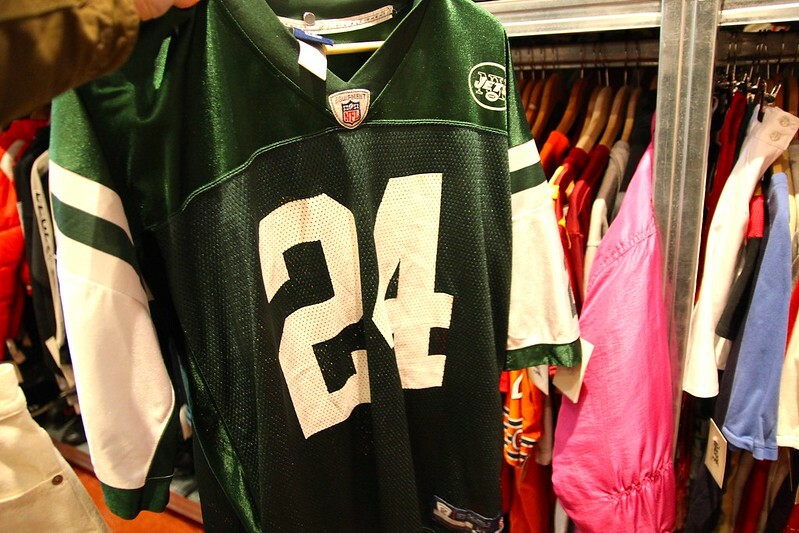 Oh, and of course I have to show some love for the Jets jersey I found!! Represent. Biba Vintage has such a fun 80s vibe! Most of their pieces sport vibrant colors and retro patterns, highlighting styles from the past that are becoming popular again! They also have a pretty great selection of Levis or similar brand cut off shorts for around 24 Euros or less! My Picks: I love their selection of vintage midi-length skirts and dresses! They remind me of something I’d see in Urban Outfitters among their Urban Renewal line. Do you like to dig through vintage treasures? If so, where’s your favorite spot? Linkin’ up for Travel Tuesday today! Never in a thousand years would I expect to see this neighborhood in Madrid, yet, it is super hip, and cool, and definitely worth a remake/relocation. I grew up in NJ so I’m familiar with that way neat section of The City too. Madrid fascinates me. Definitely gotta visit because my wife loved the city on her stay there. Lots of really cool finds there. I used to love vintage and thrift shopping but haven’t really done it since moving abroad. Maybe I’ll have to get back into it. I hadn’t done any thrifting for a long time before coming to Madrid! Living so close to all of these shops really got me back into it! How cool! When I stayed in Madrid last winter, I stayed on the edge of the Malasaña neighborhood. Too bad I didn’t make it to any vintage shops. I really liked the area though – looking forward to reading more of your favs in the area! So happy you got to see Malasaña! Lots of people miss it when in Madrid! Thanks Sara! Madrid + thrifting = heaven. Thanks for such a great post and the fun photos! Amazing! You’ve got me sold; my favourite of all barrios are always the most hipster, arty and colourful ones and this sure seems like one of those kind of barrios! What a treat that you get to explore this barrio so often 🙂 I keep seeing great blog posts about Madrid, sounds like a great city. I’d have to agree that Madrid is a great city! 😀 Thanks Marcella! Whoa! I swore I explored every inch of Madrid the amount of walking I did, but apparently not! If I knew that there was a hipster district, I definitely would’ve been all over that. It’s easy to miss! It’s a small little barrio, but by far my favorite! There’s always next time! It’s been years – decades!! – since I’ve been to Madrid. 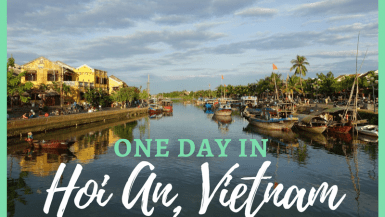 I am itching to return! Well, I love Madrid, so of course I’m going to say … Come on over! Thirfting is the best! It’s the one way to know you’re sure to have something unique that no one else will have! I love googling how much something would have cost me new after – the other day I spent $9 on some shoes that looked brand new. I googled them and they would have cost me $130 from the store and I swear they have never/barely been worn and they are adorable! Malasana sounds like a really great spot to be in. I love the sound of The Storage. I always have problems finding jeans that fit just right. I’m looking forward to more posts on your town. Thanks Andrea! Finding good jeans is never easy ..